Mary of Egypt, a penitent prostitute and figure of female autonomy and authority, is a disconcerting and unconventional saint, especially in an Anglo-Saxon context. She is not the kind of model of idealized female virtue normally favoured by leading churchmen in Anglo-Saxon England, and yet her life occurs in the manuscript of Ælfric's Lives of Saints, probably the most influential vernacular collection of saints' lives of its period. The story of Mary has been unduly neglected by students and teachers of Old English, but, with its gripping and intense narrative, it raises exciting issues in the study of medieval literature and culture, issues concerning gender, spirituality, cultural history and other current preoccupations. This edition makes the Old English Life conveniently and authoritatively available to today's readers. The text is presented in an uncluttered manner with facing-page modern English translation and is accompanied by a detailed introduction and concise commentary and a full glossary. A text and facing-page translation of the Latin source used by the Old English writer are also given. Hugh Magennis is Professor of Old English Literature at Queen's University Belfast. He has published widely on Anglo-Saxon and related writings, and his books include The Anonymous Old English Legend of the Seven Sleepers (Durham, 1994) and (with Mary Clayton) The Old English Lives of St Margaret (Cambridge, 1994). 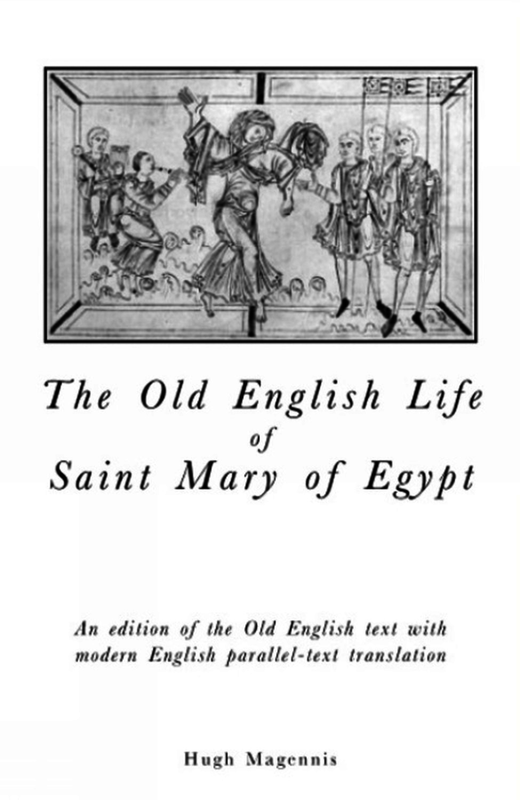 The edition and elegant translation are very well-presented, and the book is suitable for use by students as well as scholars who require textual apparatus, including as it does a useful glossary of Old English at the back… This welcome edition, then, should have the effect of boosting interest in the story of Mary of Egypt amongst Old English scholars, who are now in a much better position for using the Life as a teaching text, for example, and for all those concerned with the study of gender and religion in the medieval period. Hugh Magennis’ excellent edition . . . is both scholarly and user-friendly… This text is supplied with a readable but dignified facing-page translation, as well as a Glossary… a short but useful Commentary… [and an] excellent introduction. Hugh Magennis has produced a fine edition of the Old English Life of St Mary of Egypt… an invaluable addition to the library of any scholar of Anglo-Saxon hagiography or of any medieval literary culture. In the stylish, compact paperback volume … the whole project is clearly well executed and represents a useful, informative, and affordable contribution to the study of Anglo-Saxon hagiography… It is clear that over the last few years Hugh Magennis has made a great contribution not just to the Anglo-Saxon but also to the larger European tradition of this saint, and has demonstrated his skill again in this new accomplished edition. Dr Magennis’s … new edition of the Life of St. Mary of Egypt, published almost exactly a century after that by Skeat, leaves little to be desired. The Introduction provides all that is essential for our understanding of the Old English Life… Everything in this Introduction is marked by sound method and thorough, knowledgable analysis… Magennis’s accurate edition of the Old English text, based on Julius E.vii, is accompanied by a Modern English translation… A carefully compiled glossary to the Old English text concludes the book. A valuable contribution to our understanding of the vernacular hagiographic tradition. Hugh Magennis is Professor of Old English Literature at Queen's University Belfast. He has published widely on Anglo-Saxon and related writings, and his books include 'The Anonymous Old English Legend of the Seven Sleepers' (Durham, 1994) and (with Mary Clayton) 'The Old English Lives of St Margaret' (Cambridge, 1994).